In this unforgettable novel, Quinn Sullivan falls for the recipient of her boyfriend's donated heart. 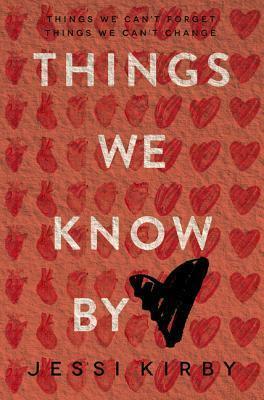 Printz Award winner John Corey Whaley calls it "not just a love story, but one with a ferocious pulse." After Quinn's boyfriend, Trent, dies in an accident their junior year, she reaches out to the recipients of his donated organs in hopes of picking up the fragments of her now-unrecognizable life. But whoever received Trent's heart has chosen to remain silent. The essence of a person, Quinn has always believed, is in the heart. If she finds Trent's, then in a way, she will still have a piece of him. Risking everything to get closure once and for all, Quinn goes outside the system to track down nineteen-year-old Colton Thomas, whose life has been forever changed by this priceless gift. But what starts as an accidental run-in quickly develops into something more, sparking an undeniable attraction. She doesn't want to give in to it--especially since he has no idea how they're connected--but the time Quinn spends with Colton makes her feel alive again. No matter how hard she's falling for Colton, though, each beat of his heart reminds her of all she's lost . . . and all that remains at stake. Perfect for fans of Sarah Dessen, this unique and emotional story about an unexpected bond between two strangers will leave no heart untouched. Nineteen-year-old Colton Thomas has spent the last several years in and out of hospitals waiting for a heart transplant. Now that he's fi nally received a new heart, Colton is regaining strength, and he's walking away from his bedridden past with no intention of looking back. He doesn't want to know about the person who had to die so that he could live. He only wants to move forward. But Quinn can't let it go. Venturing outside the system to fi nd Colton, Quinn takes a risk in hopes of fi nally laying her memories to rest. But what begins as an innocent conversation quickly becomes an attraction--and to make matters worse, Colton has no idea how they're connected. His zest for life pulls Quinn from her months of sorrow but leaves her torn between honesty and utter betrayal.Because no matter how hard she's falling for Colton, each beat of his heart reminds her of all she's lost.